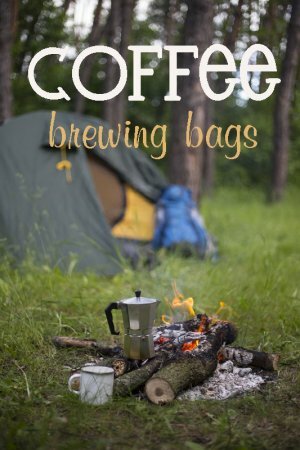 Here’s an easy way to have your coffee even while camping or hiking. Using a coffee filter, add a scoop of coffee. Tie the filter into a little packet and secure with dental floss or embroidery thread tied at the top. Boil a cup full of water and add the coffee filter. Let seep for 4 or 5 minutes.